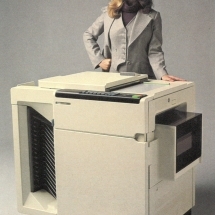 The Xerox 3400 was introduced to the market in September 1977. 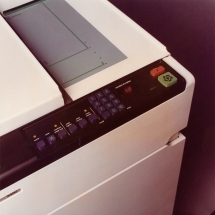 The document handler could position originals one at a time on the copying glass, the 3400 produced twenty-six copies a minute and, with its built-in 15-bin sorter, automatically sorts them into completed sets. 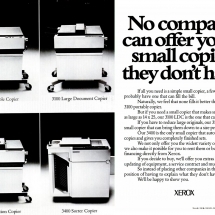 Aimed at the 10,000 to 30,000 copy per month range, the 3400 also featured two paper trays. An auxiliary tray holds up to 100 sheets of paper, transparency material, labels, or special pre-printed stock and could be push-button selected. The main supply tray could hold 1,000 sheets of paper . Special "copy lighter" or "copy darker " buttons could also be activated during the copying cycle to make better-than-original copies from colored background or faintly-imaged original documents. The document handler was hinged and could be moved out of the way for copying from bound documents or other three-dimensional objects. A push-button keyboard controls all functions of the 3400. 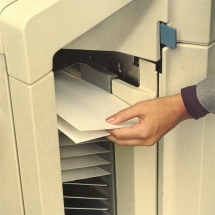 Merely by pushing buttons, one could select up to 99 copies, improve copy from light or dark originals, and determine which paper tray will be used. The copy counter counts up as the copies are delivered and resets itself to "one " automatically, sixty seconds after the completion of a job . This last feature all but eliminates the possibility of making unwanted copies by the operator next using the machine. 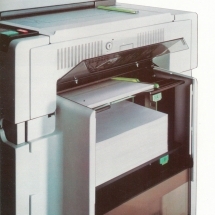 A 15-bin sorter was built into the 3400 below the copy delivery tray, making the unit the most compact plain-paper copier available to offer this feature . 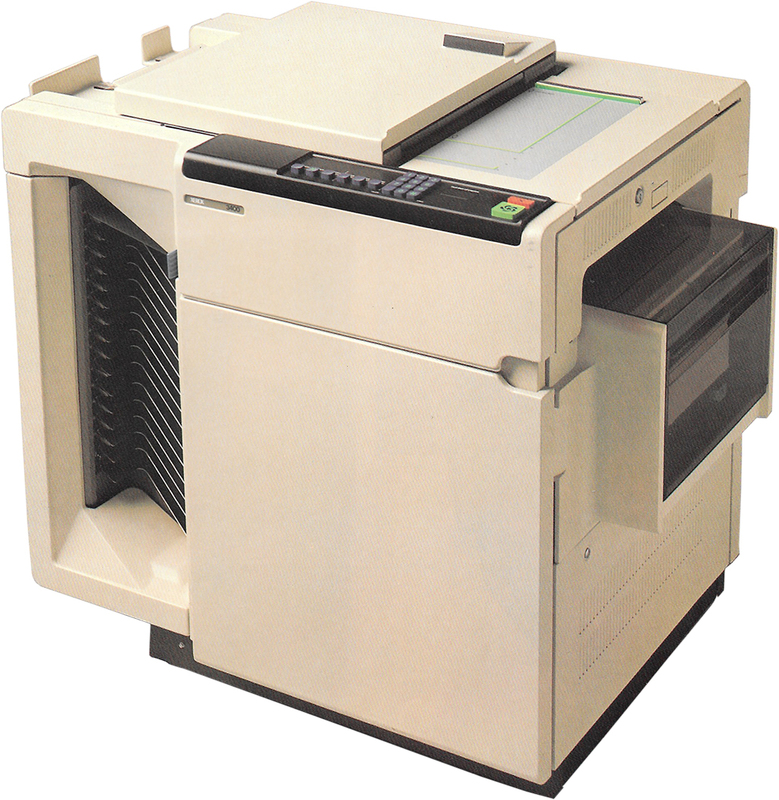 Because of the compact size, and ordinary electrical requirements, the 3400 could be located in large or small offices—wherever the need for copying and sorting exists. Job recovery was also built into the 3400. In the event of a malfunction of any sort, the copier "remembered" how many copies had been delivered and automatically compensated to deliver the job as originally programmed. When a problem occured, one of six code words was flashed to the operator from the control panel giving instructions on how to get the unit back into operation . Special diagnostic electronics in the machine permit a service representative to check every electro-mechanical function of the 3400 in minutes . This circuitry also permits timing adjustment of several operations within the machine to split second accuracy, thus greatly reducing the number and length of service calls. Below is the operating panel, with descriptions of the different functions. This was a popular product among customers and service reps alike. Very reliable and responsive. 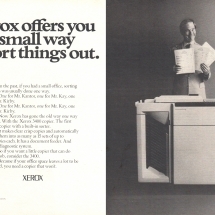 Xerox sold a ton of these.